I love having simple, easy to make and quick vegetable recipes. 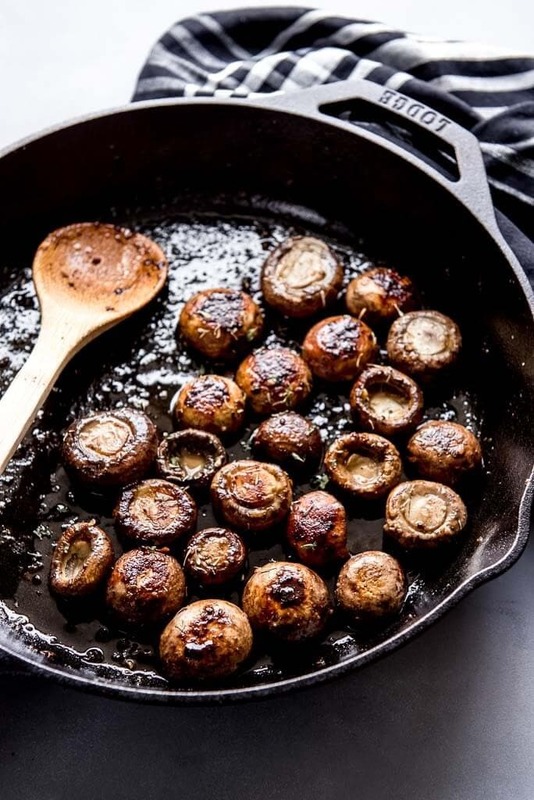 These Garlic Sautéed Mushrooms are exactly that and a perfect addition to steak or chicken! 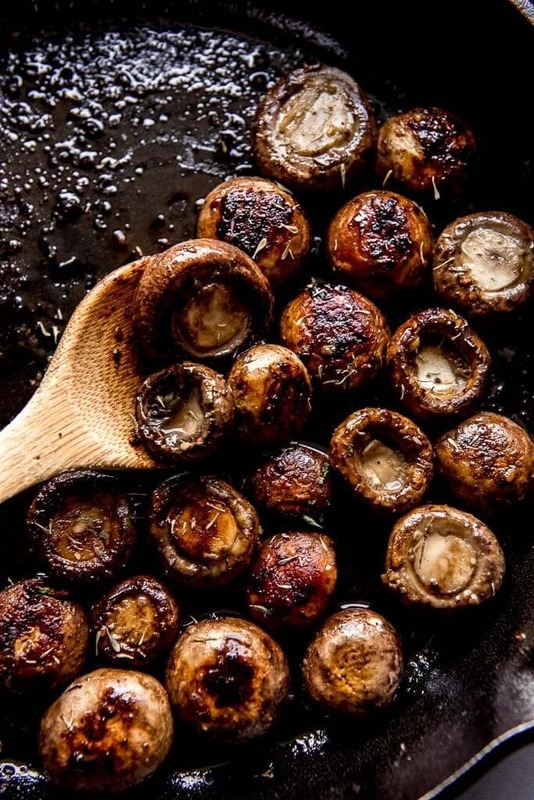 How do you make healthy sautéed mushrooms? 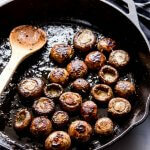 Making mushrooms on the stovetop is simple and can be made quickly. I do not remember being a huge mushroom fan until I had my boys. Something with my pregnancy hormones made me literally crave these vegetables and the obsession hasn’t ended! I love mushroom pizza, mushroom sauce, sautéed mushrooms, stuffed mushrooms… I could go on and on. What are mushrooms good for? 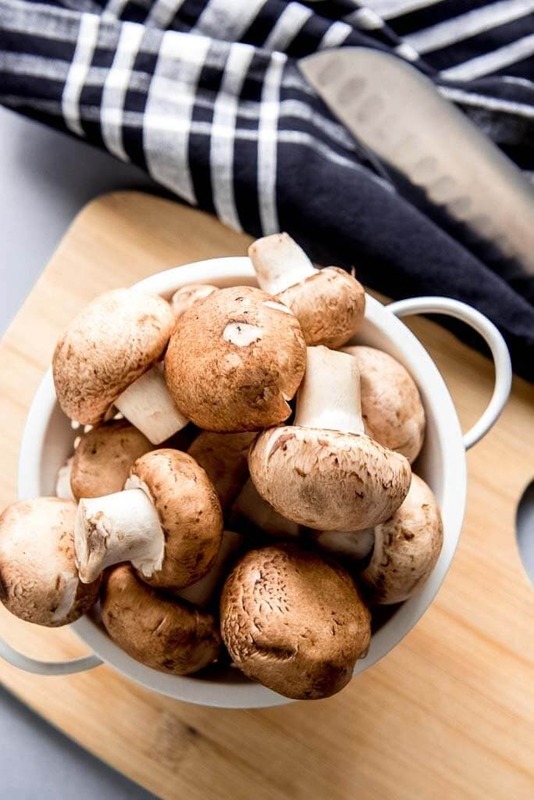 Mushrooms are packed full of nutrients, thankfully! So, my obsession is beneficial I guess! For this recipe I am using baby portabella mushrooms. I recommend buying them whole because they will last longer that way. I have found that pre-sliced mushrooms don’t last nearly as long so keep that in mind when you are purchasing them at the store. 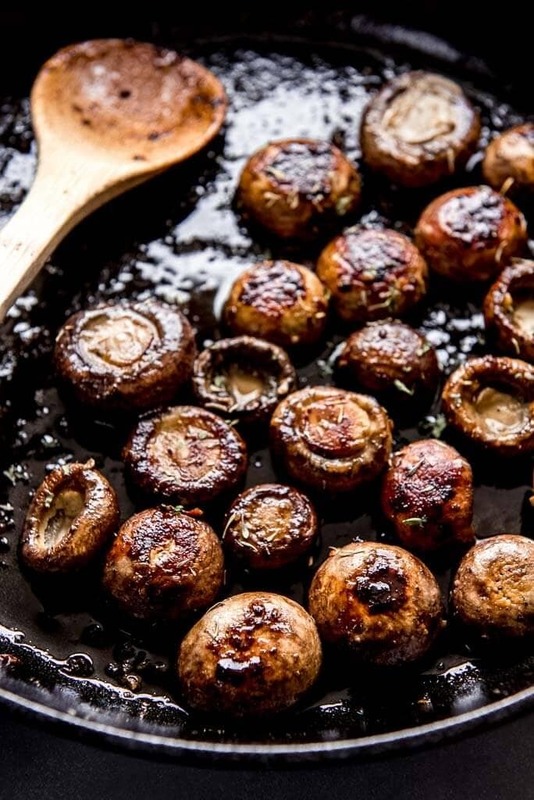 These Garlic Sautéed Mushrooms can be prepared in about 5 minutes. I cut the stems off so they can cook evenly on the skillet. I used a cast iron skillet to prepare them but any skillet will work. What do you eat mushrooms with? Mushrooms are a great side dish for steak. I’ve included links to a few recipes I’d recommend trying as the main entree when serving mushrooms as a vegetable. Do you like mushrooms? What is your favorite way to eat them? 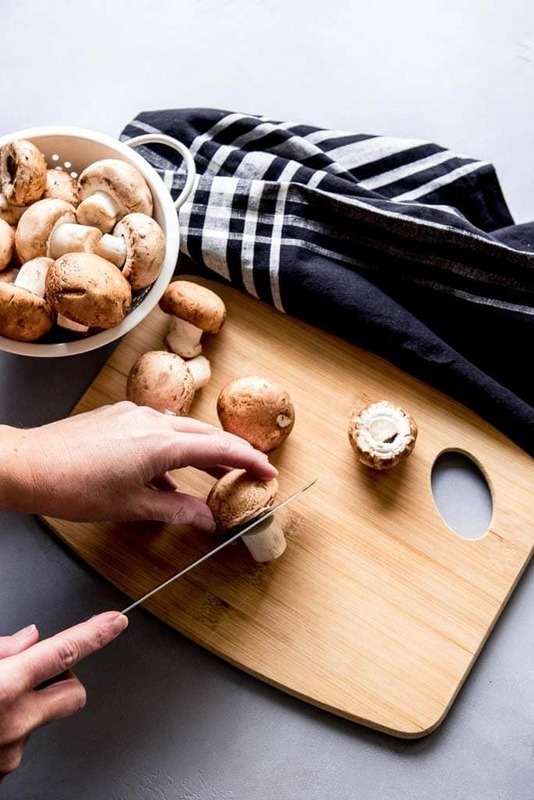 These Garlic Sautéed Mushrooms are so simple and quick to make and a perfect vegetable to accompany steak or chicken. 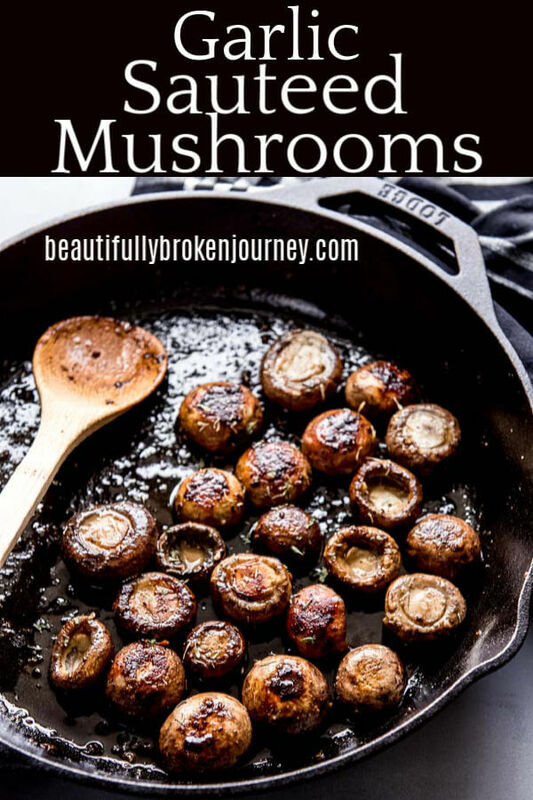 Clean and dry mushrooms and cut off stems. Heat olive oil, butter and garlic in skillet until garlic is fragrant. Place mushrooms stem side down. Sprinkle salt and pepper on them and cook for approximately 5-7 minutes or until browned. Flip mushrooms and cook until tender, an additional 5-7 minutes.